Spring Moving - How to make a great move in spring time. I hired All Jersey Movers to move a piano I bought. There’s a saying that “spring comes in like a lion and goes out like a lamb”. That’s certainly true in the eastern United States – March follows what is usually a bleak and depressing month and we can still experience some snowy, gray periods but towards the end there are often mild, comfortable days that herald the approach of better weather. As we start wearing lighter clothes we feel like shedding some of the possessions that accumulated or kept us amused through the short dark days. We long for fresh air and light. Some people not only get the urge to spring clean but start thinking about a complete change of scenery. As they purge excess items they decide that a smaller home might be more affordable or manageable. There are those who start thinking of the advent of good weather and decide it would be wonderful to have a house with a swimming pool or a larger garden. Spring is a great time to move. There’s less chance of delays due to heavy snowstorms and it’s easier to shift heavy boxes when it’s not 95 degrees. All Jersey Moving & Storage can accommodate you whatever the season. Our staff are professional movers who don’t track mud through your house if it’s still snowing or raining and don’t deliver waterlogged boxes. If you don’t want to sacrifice the whole of spring break, we can handle your packing and unpacking while you take care of your children. If you find you’re running out of time, we can even step in to help with last minute packing. Not sure if you want to dump all the items you put aside during your spring cleaning? 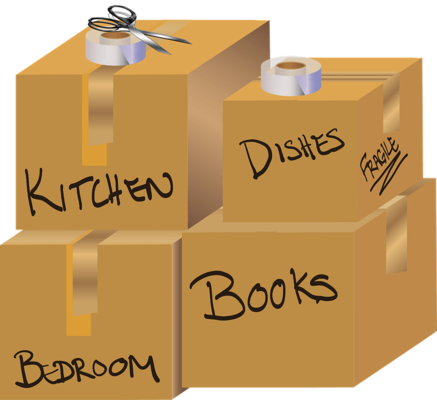 All Jersey Moving & Storage has our own containerized storage facility where you can store them while you make your final decision. Your possessions will be sealed and secured in large wooden containers and wrapped in blankets. They’re protected no matter the temperature inside or out. Most people move between May and September so you’ll have your choice of the best moving companies in spring and a higher probability that they can accommodate the dates you want. Get moving quotes from at least three professional moving companies – look for good moving reviews on sites like Angie’s List and obtain recommendations from friends and coworkers. A local NJ moving company will be familiar with the area you’re moving to and from – and the changeable spring weather - and will strive to maintain its good reputation in the community. All Jersey Moving & Storage is endorsed by thousands of satisfied customers in New Jersey and the neighboring states and delivers award winning service at affordable prices. If you don’t want to move during spring break, your children will still be in school for the remainder of the season which will allow you to pack with fewer interruptions. Summer days are precious – why spend them packing moving boxes when you could be settled in your new home? Moving in spring still allows you the opportunity to plant flowers and vegetables so you can benefit from that larger garden. If you want to paint or re-carpet your new home, you have more chance of being able to open the windows to allow the fumes to escape. You’ll also be able to let your pets go outside so they don’t make a mess in your new residence. You may even get the opportunity to try out your new barbecue. Imagine moving in time to organize an Easter egg hunt with new hiding places or being able to host more guests at your Passover seder. Spring is a time of new beginnings and All Jersey Moving & Storage can help you make them happen. Contact us now for a no obligation quote and spring forward!